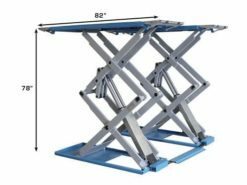 The Atlas® SLP-9K full rise scissor lift combines an extremely low lift platform height and a 78 inch full rise scissor jack system. 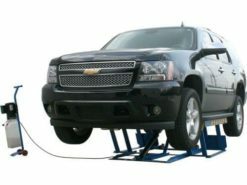 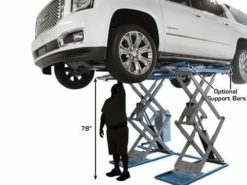 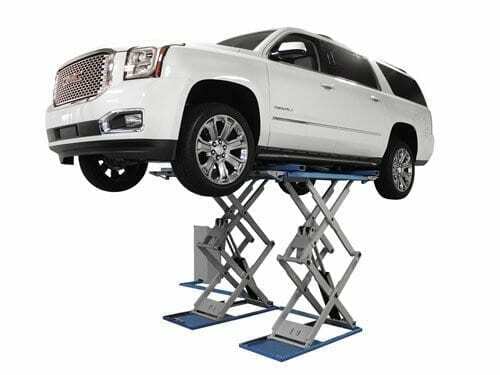 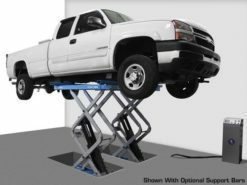 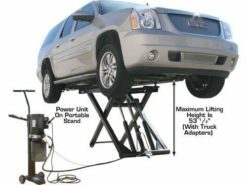 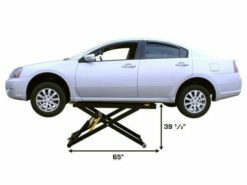 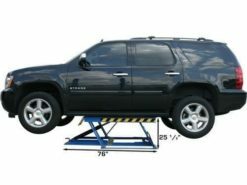 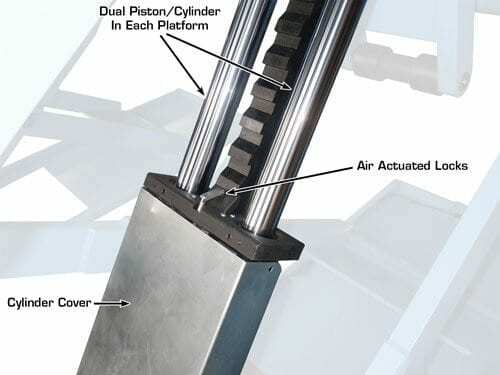 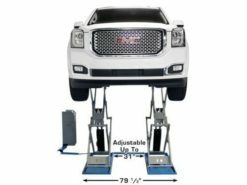 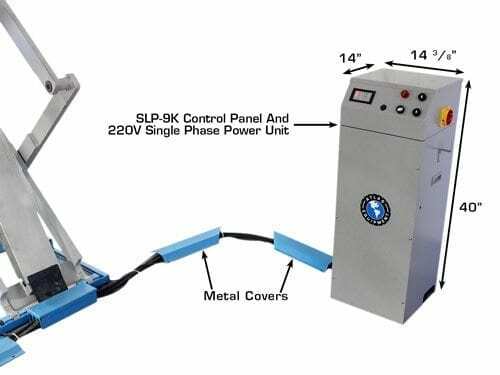 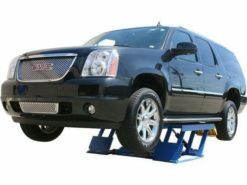 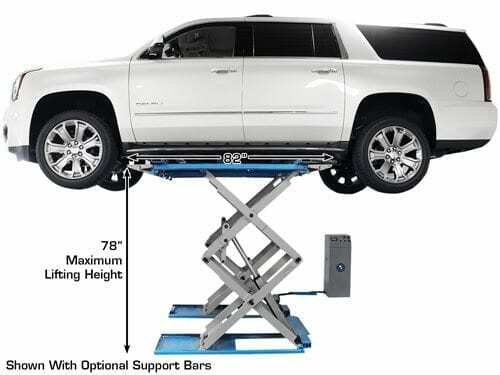 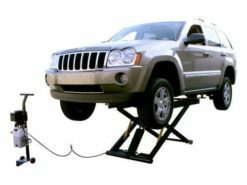 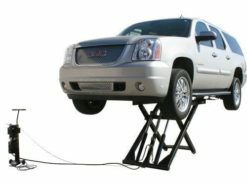 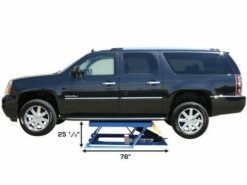 The SLP-9K is the perfect above ground lift for customers with ceiling height restrictions and the need for enough lift to raise pick-up trucks. 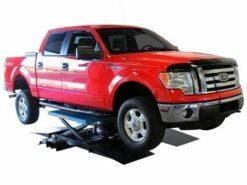 This Atlas® full rise scissor lift is also perfect for service shops that want to avoid the cluttered look of dozens of vertical lift columns. 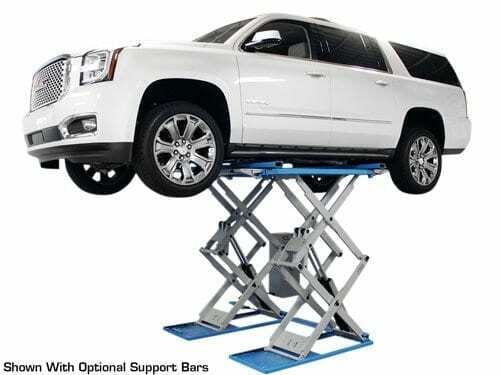 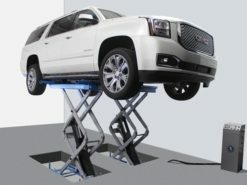 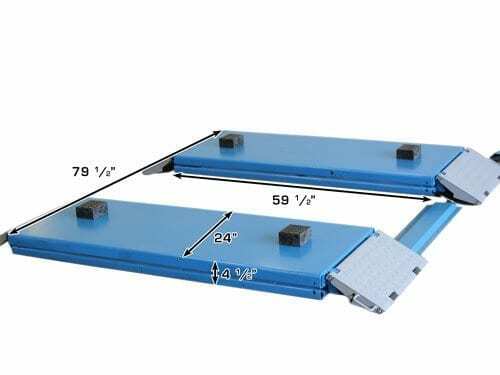 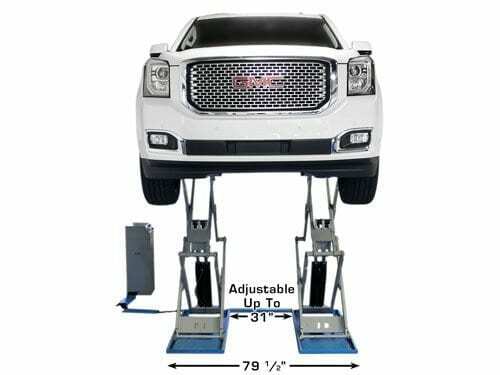 Max Overall Width 82 "
Lift Platform 59 " x 24"
Width Between Platforms Adjustable up to 31"
Approach Ramps 11" x 24"